The Kayfun 5² is a larger version of the Kayfun 5. It incorporates the same ease of use, the same functionality combined with more airflow, more tank volume and more space for coils. The infinitely adjustable Liquid-Control offers the possibility to control the liquid flow in full measure. When the Liquid-Control is closed, the Kayfun 5² can be top-filled within a few seconds. The larger diameter of 25mm makes room for a larger deck, on which even complex windings such as Clapton coils can be easily installed. 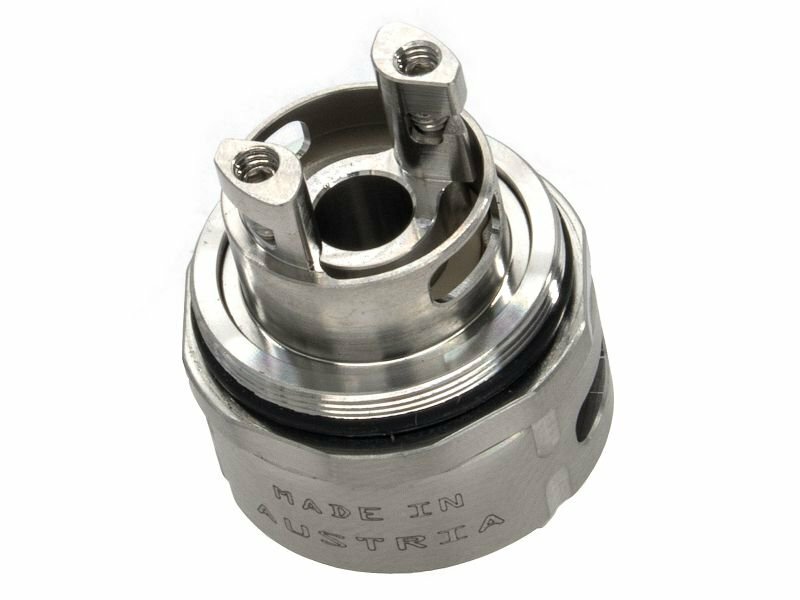 The Airflow has been raised accordingly and can be set in the Kayfun 5² in 3 stages: 3mm, 3.5mm, 4mm. As a result, windings are possible, which are operated between 20 and 65 watts. The internal design of the vaporizer chamber has been optimized to create a great flavor experience that Kayfun fans love, even at higher draft settings. As with all SvoëMesto products, the Kayfun 5² uses only high quality materials. Thanks to its intelligent design, the Kayfun 5² can be disassembled into 5 parts for cleaning and maintenance without tools. The ideal all-day vaporizer. 6ml or 7.5ml tank capacity.Top-fill system.25mm diameterGlass or steel tank selectable.